CA Couple Charged With Child Abuse | NOT IN MY WORLD!!!! 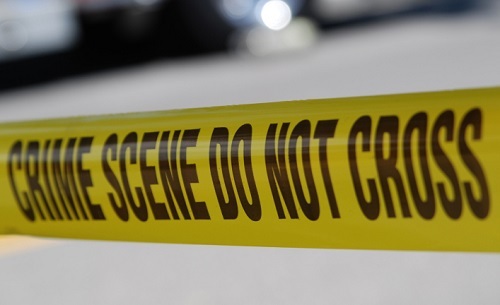 Burbank, California – A Burbank couple was facing multiple charges, including child abuse, Tuesday after police allegedly found a live grenade, heroin and methamphetamine in their home. Peter Jacquin and Deborah Charves, both 44, were arrested after police discovered the drugs and grenade in the home they shared with their 10-year-old son, prosecutors stated in a news release from the Los Angeles County District Attorney’s Office. Jacquin and Charves were each charged with two felony counts of possession for sale of a controlled substance, heroin and methamphetamine; one felony count each of possession of a destructive device, a hand grenade; and child abuse. They pleaded not guilty to the charges in court Tuesday. If convicted, Jacquin faces a maximum sentence of 10 years and 4 months in prison. Charves could face up to 8 years and 4 months in prison, the DA’s office stated. Bail was set at $155,000 for Jacquin and $130,000 for Charves. Jacquin and Charves were scheduled to return to court on Nov. 3.